Getting your pricing just right is difficult for the best of us. Too low, you’ll lose profit and respect. Too high, you’ll loose customers and potential revenue. We’ve got 5 strategies to help you sell your stuff at the perfect price! One of the most effective ways of getting the price just right is to offer different pricing packages. The trouble is, how do you get more people to buy your higher priced package? This works because it puts the price of your preferred product into perspective by adding in a higher priced package. For this to be effective, the price of your new package needs to be at the higher end of the market. Lets introduce the ‘Platinum' package. By pricing this ‘top end' package high, it makes the next package (Gold) look much more affordable. Customers will now be considering your other three packages. Better yet, they're considering the package you want them to purchase. 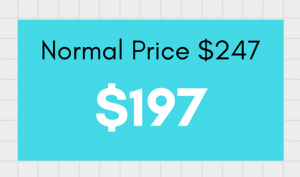 A really simple trick to make your price look even more appealing is to drop the decimals. So now you have ‘perspective pricing' in play as well as an irresistible looking price package. 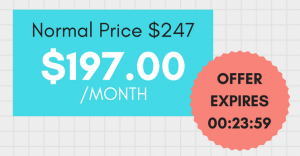 The goal of the Ninja Pricing Strategy is to make your target pricing package look even more tempting than is already is. The first step is to increase the price of your ‘silver' package (stay with me, I haven't gone crazy). 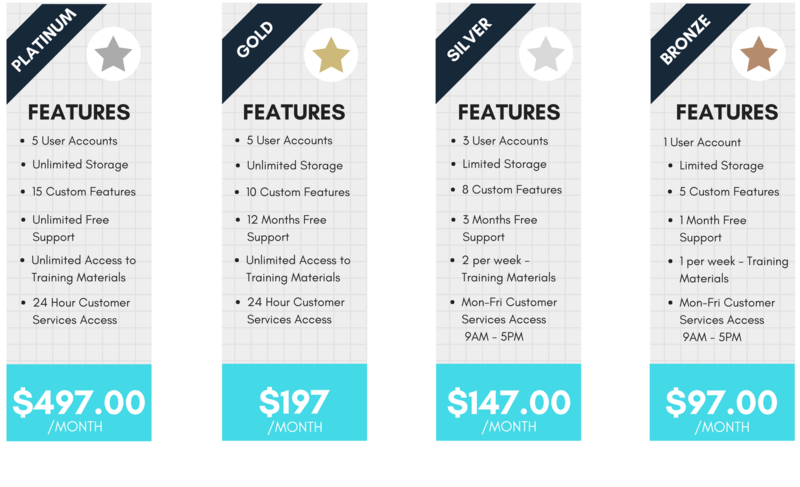 Now you have a pricing table that shows your ‘Gold' and ‘Silver' package at the same price. 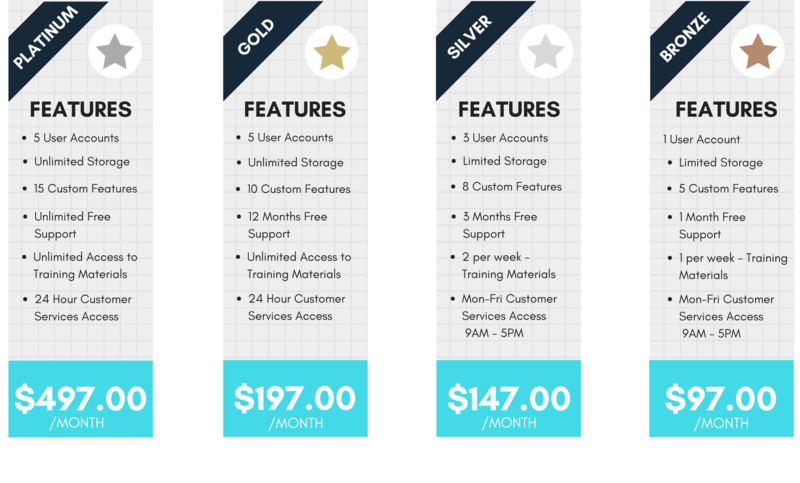 Customers are now starting to compare these two pricing packages and looking for differences and benefits. Notice, they are now completely ignoring the ‘Bronze' package (ninja)! 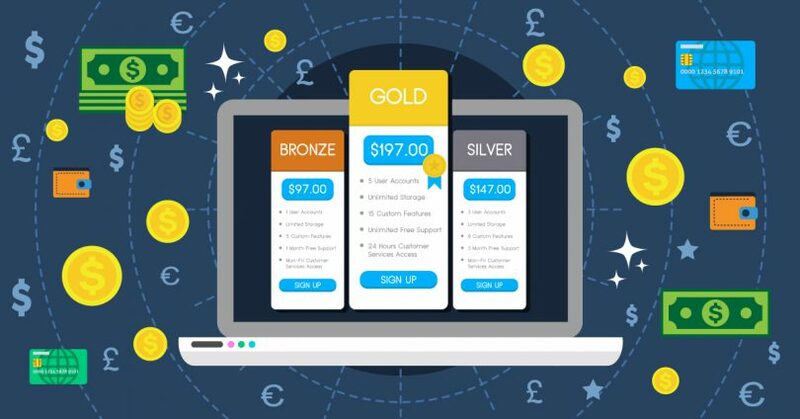 The next step in the Ninja Pricing Strategy is to add a higher value to your ‘Gold' package, making it look like a reduced price. 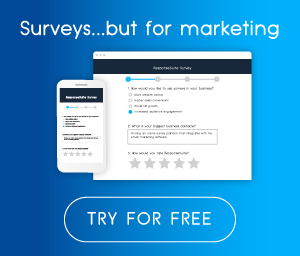 This is going to help your customer choose between the two packages. People now have the perception that they are getting a good deal – who doesn't love a deal! This is where I'm going to emphasise that we aren't encouraging you to be dishonest, there needs to be reason for the discount. We'll cover this in the next point (Limited Time Offer). The decoy effect was tested by Professor Dan Ariely, author of ‘Predictably Irrational'. Ariely used magazine pricing options that were offered by The Economist, to test if revenue could be increased by adding in a decoy product. This increased to an encouraging 84 people spending $125 when he added in the decoy. It's important to remember that the Ninja Pricing Strategy must be used as a limited time offer (or another way of legitimising the discount). The first time a customer lands on your pricing page, they will see that the Ninja price is only available to them for ‘X' amount of time. After this is will expire. 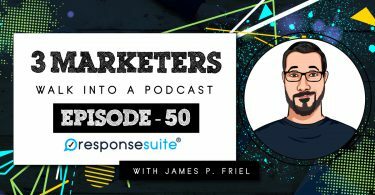 You are now using urgency tactics to encourage sales and make your target pricing package irresistible. Set a time for your offer to run and make sure to put the price back up when the promotion has ended. You need to make this a real offer, otherwise you might find yourself in legal hot water. The final step is a super easy and super effective one – make your target package stand out. You could make it a brighter colour, add a glow around it or simply add an outline to it. 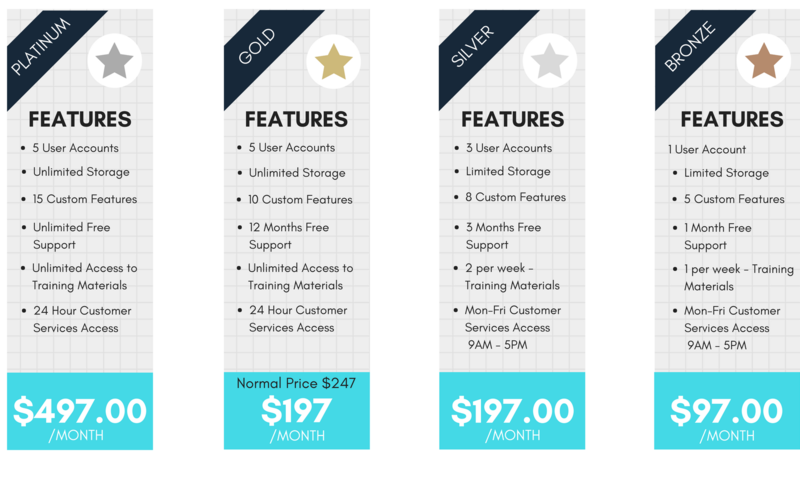 Whatever you choose to do, your pricing package is now incredibly hard to resist. 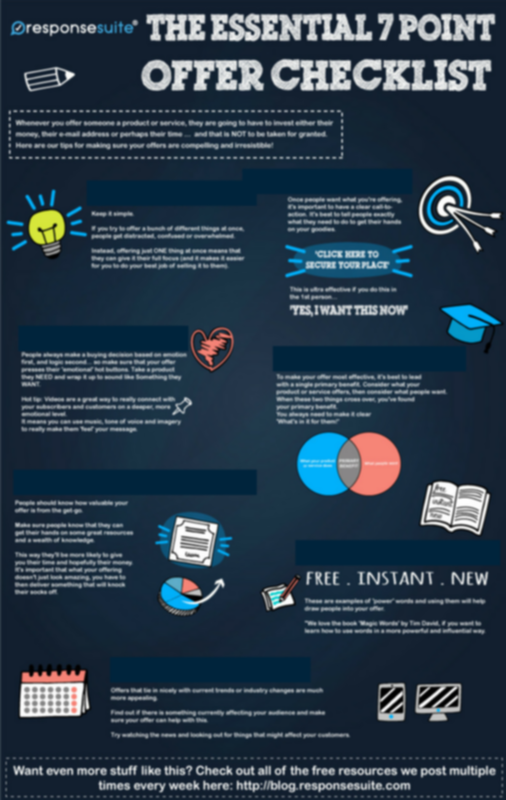 Join our weekly newsletter today and receive your very own actionable infographic 'The Essential 7 Point Offer Checklist'. Make your offers irresistible and make more money! 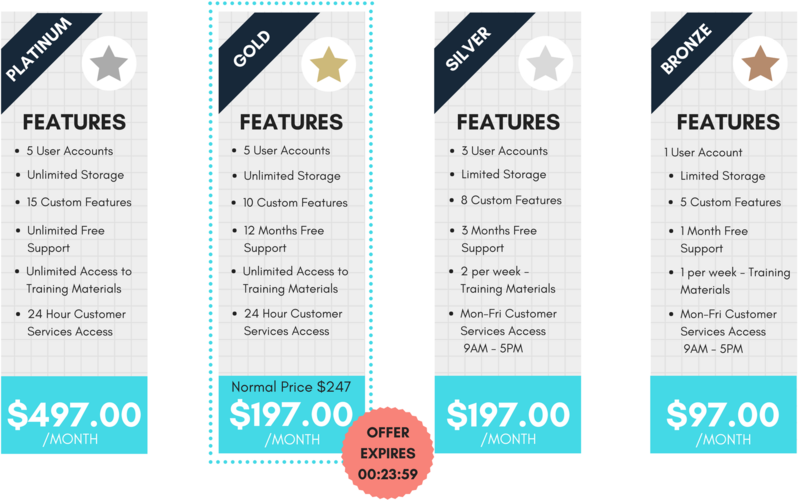 We would love to hear what you think about these 5 pricing table strategies.